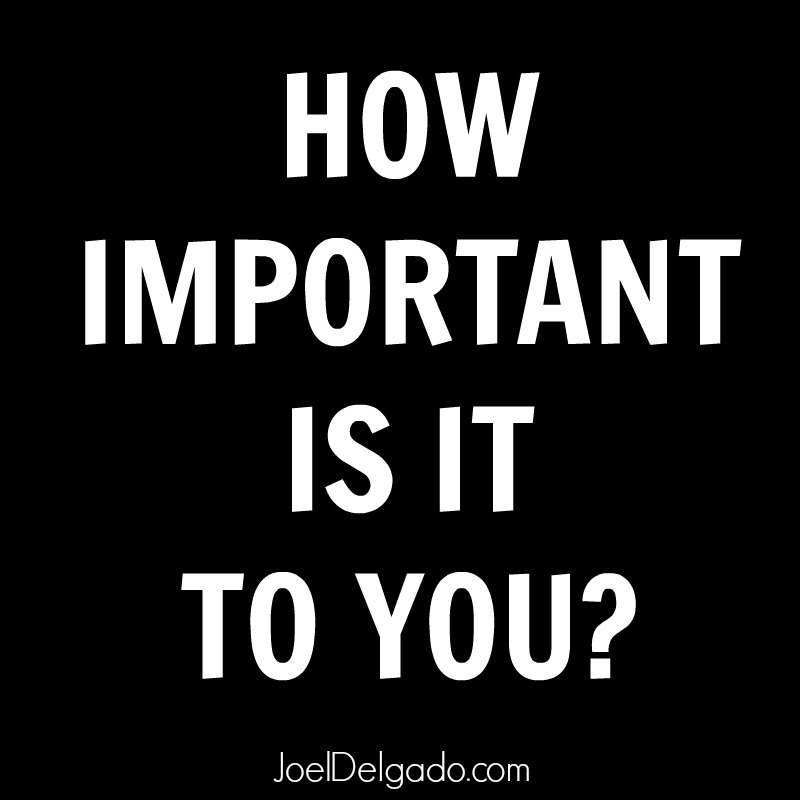 JOEL DELGADO: How Important Is It To You? Are you willing to get up a little bit earlier? Are you ready to go a little bit farther? Are you prepared to sacrifice a little bit more? Are you finished saying, “I’ll start tomorrow/Monday/next year”? Can you be a little bit more vulnerable? Can you reach a little bit higher? Can you let go of the things you’ve been holding on to? Can you grab hold of the promises God has made to you? If the answer to those questions is ‘yes,’ then say so. But don’t stop there. Back it up. Say “no” to good so you can reach for greater. Break down your walls and pour it all before God – all of it. Dream bigger dreams. Set a higher vision for yourself. Let it go. Surrender your will for His. Every day. Write down His promises and circle them in prayer. 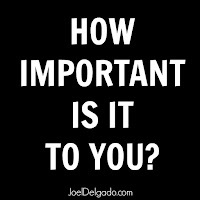 If it's important to you, it will change the way you think. It will change the way you speak. It will change the way you live your life. It might change everything. This is an incredible post. You are actually portraying a great message here. Pushing myself to the limits has been my way to go for the past few years, and I have achieved wonders.